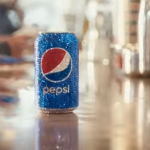 Pepsi’s Super Bowl Commercial is Here! I am not a big fan of SB commercial coming out before the Super Bowl… but I am glad this one did! I laughed out loud at the end of it! It’s Opening Day For Festival Season!